Use Thangles, Triangles on a roll or make your own half squares triangles to make this wall hanging. 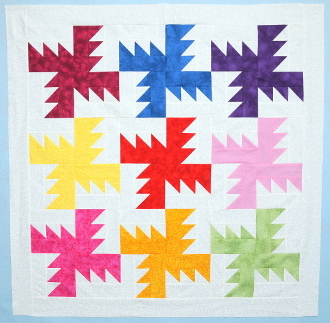 Rectangles are sewn on each side of the half square triangles. You will need 9 fat quarters of different colors and background fabric.